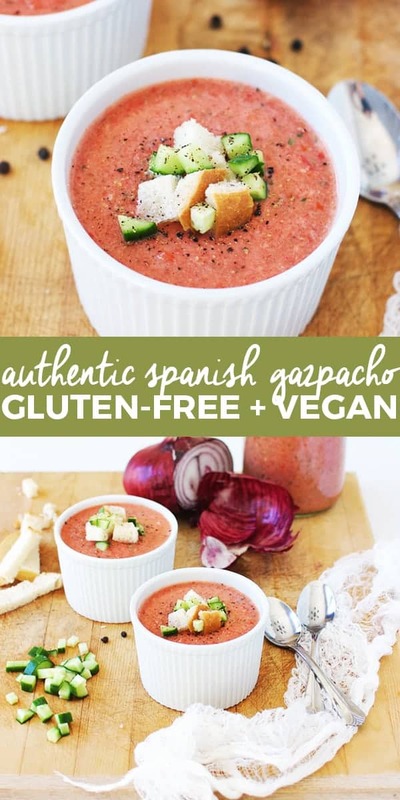 This authentic Spanish gazpacho is soupendous! And it’s gluten free and vegan! It’s the perfect cold soup to eat when you want something light and refreshing. Which is about every day around here. 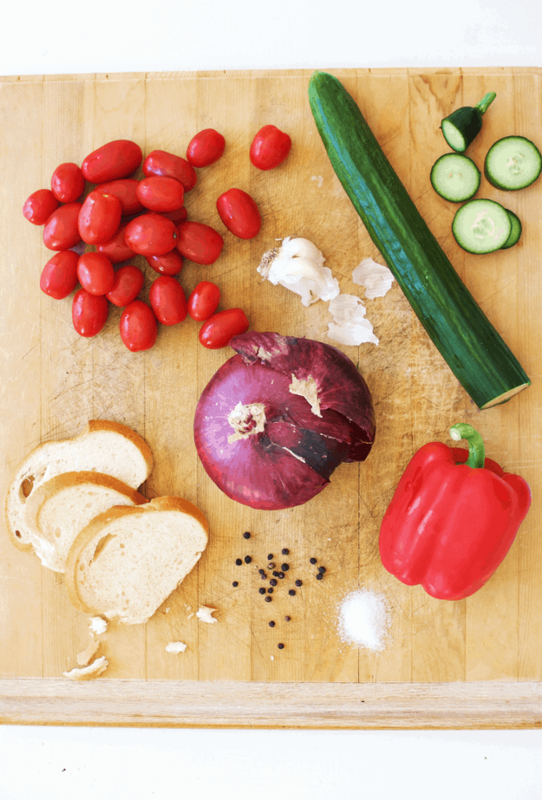 Stale gluten free bread – good way to use leftovers that have gone bad! One of my favorite ways to improve my gut health is to take apple cider vinegar, or what is more affectionately known as ACV! Combined with all of these other high-water, high-fiber veggies, this cold soup contains ingredients high in antioxidants that support digestive health. 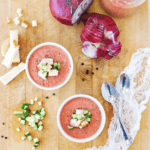 Want to hear a funny story about this gazpacho? My husband lived in southern Spain for two years, and we often make the traditional dishes of the area. That reminds me of a funny story about our first time making gazpacho . . . Eight years ago we were poor college kids. Matt needed to make gazpacho for a class, plus he was just really excited about bringing back the memories of his life abroad. The sacrifice of spending $25 (one quarter of his grocery budget for the month!) on all the ingredients was well worth it. I remember walking through the door, finding tomato juice and seeds splattered on the counters and garlic skin littering the floor. “How much is a clove? Is it the whole head of garlic or one little piece?” he asked. I know what you’re thinking: don’t put the whole head of garlic in! I’m proud to report I now know how much a garlic clove is. 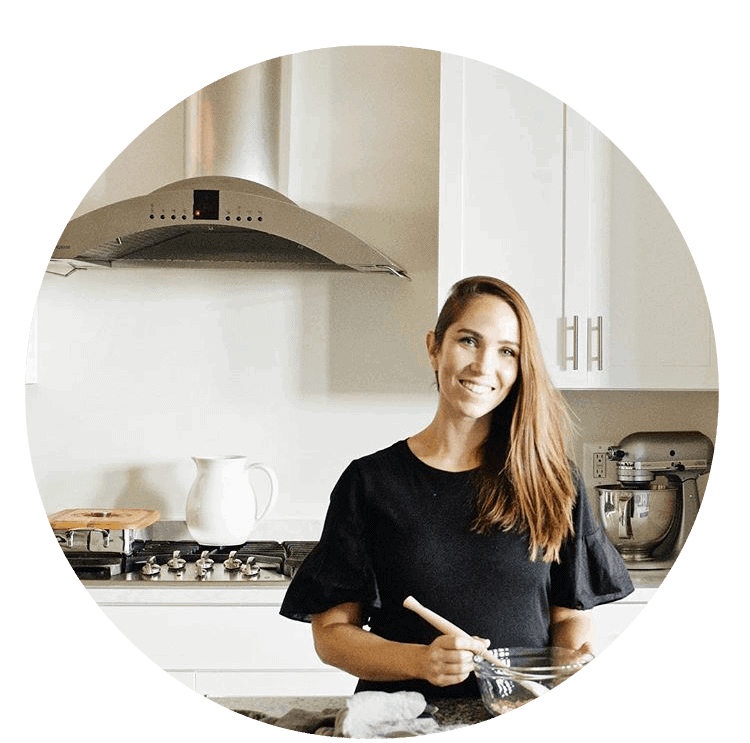 And take this story as a symbol of hope for those who are inept in the kitchen. The skills can be acquired! 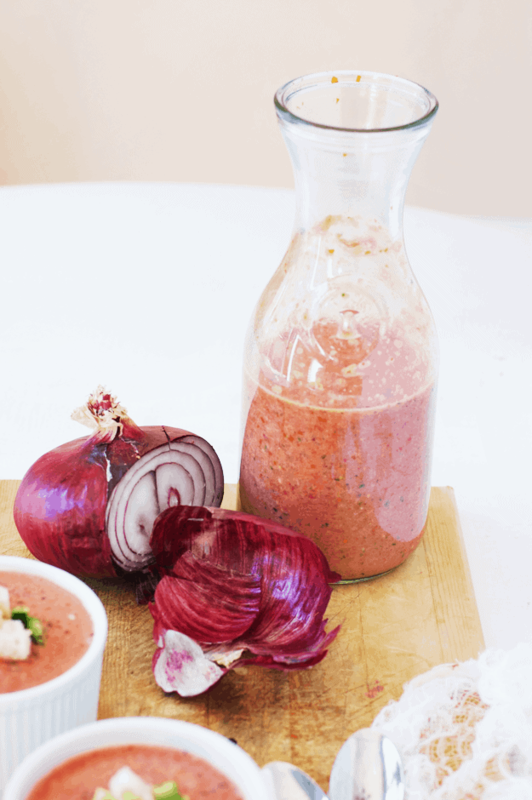 Now go make this authentic Spanish gazpacho. It’s full of deep flavor, and the garlic ratio is just right. 😉 Grab the recipe below and enjoy! 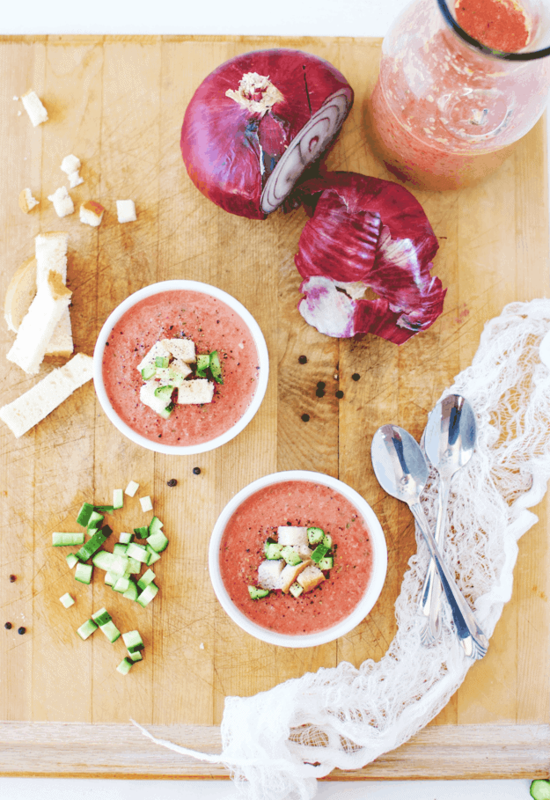 Make this authentic Spanish gazpacho for a healthy appetizer or lunch. Rip apart the stale bread into large pieces and soak in water in a small bowl. Set aside. In a food processor, blend the tomatoes. Add in the cucumbers, red onion, and garlic. Squeeze any excess water out of the bread and add to the mixture. Pour in the vinegar, oil, salt and pepper. Blend until smooth. If desired, strain through a sieve for a more fine texture. Place in a sealed container and chill for two hours. 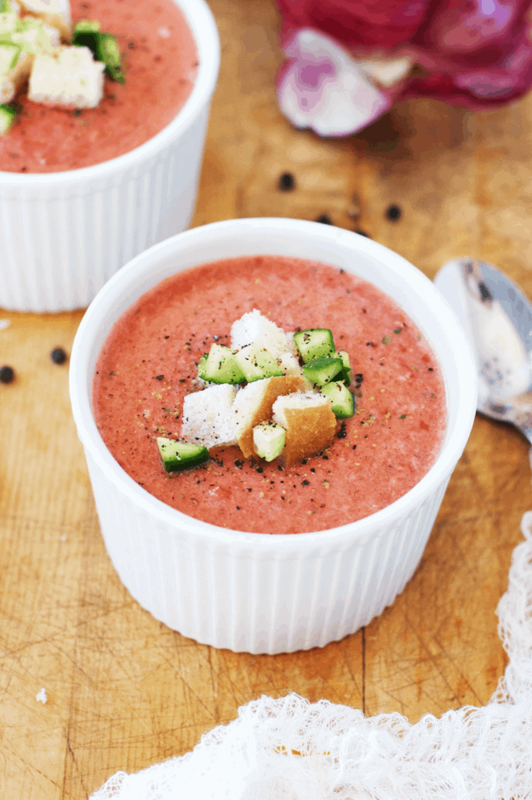 When ready to serve, dish the gazpacho in bowls and top with croutons, extra cucumbers, and a dash of ground pepper.